Heard this was the place to go and my family lives in Sterling. My doctor wanted me to come here too, so I felt safe. All of my therapists worked so hard to get me better; I can not complain about one single person. It is very clean here and I love that. I enjoyed playing Bingo and loved the day Brittany played Yahtzee with me. I might just have to come back on Bingo days to play with my new friends! The reason I chose this center is that Sterling was the closest place to my home. All the staff at the center were equal, always very careful and polite with me. MediLodge of Sterling is a very good place to be for anyone needing rehabilitation! The reason I chose this center is because my daughter suggested it after she heard about it from friends that had came here. Jeanie from housekeeping really stood out to me here. She socialized with me everyday and cleaned my room so well. Everyone was very kind in helping me to get better so I can go home after two weeks of therapy. 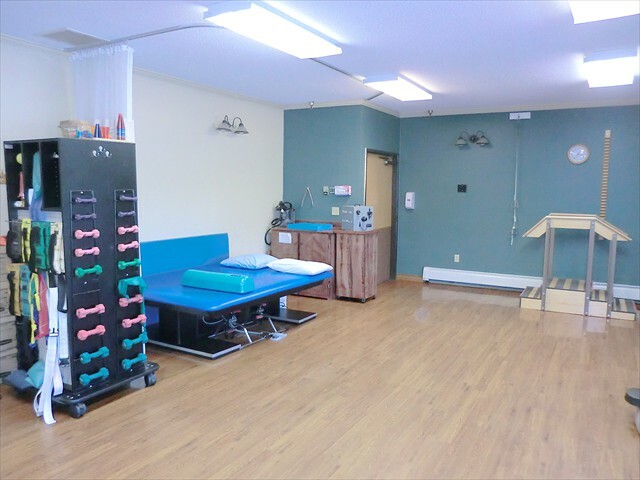 I chose MediLodge of Sterling primarily for physical therapy and because the staff treated me so well last year when I was a resident. My husband even wanted me to come back here. 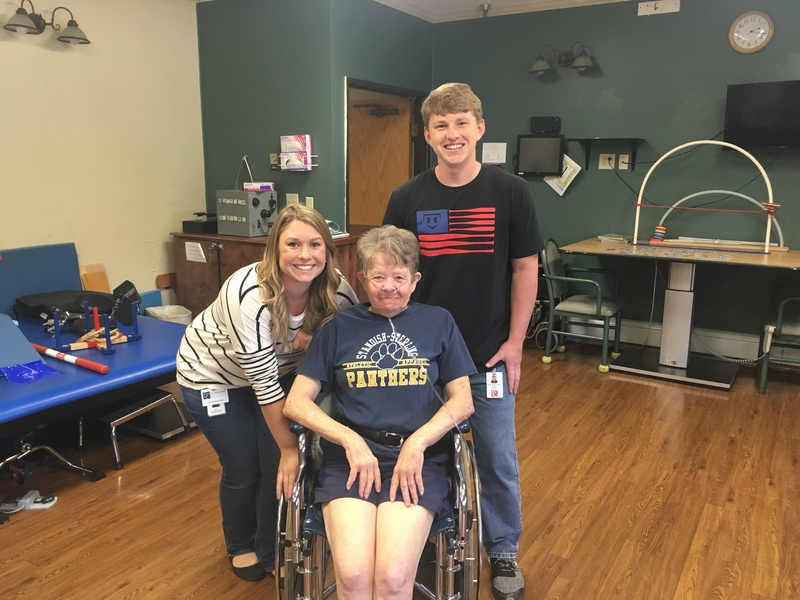 I want to give a special shoutout to Lyndsay (Social Services), Karin (Admissions and Marketing), and the entire physical therapy team as they were professional, caring, and polite during my time here. There are so many things I love about this place. The food is really good – I love the chef salads! Most importantly, during my time here I was able to lift my leg for the first time all year. I can thank therapy at MediLodge of Sterling for that! 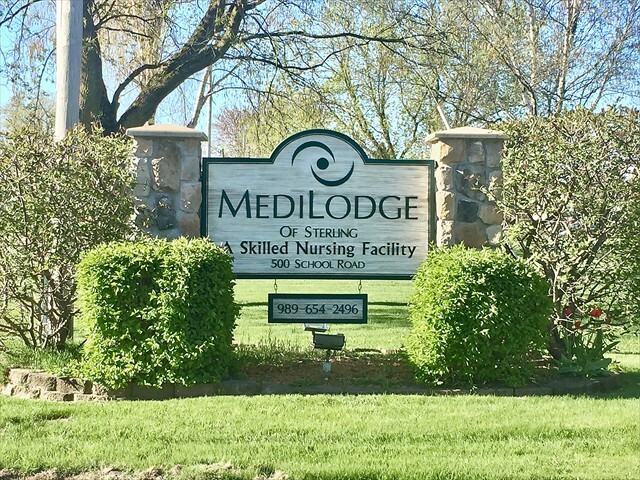 I have family and friends who have worked at MediLodge of Sterling for several years and the facility is very close to home, so I felt comfortable in choosing to come here to heal. When I first arrived at MediLodge, I could not get out of bed without assistance. Two months later, I am now strong enough to stand, dress, myself, walk, and return home confidently. Everyone here went above and beyond. 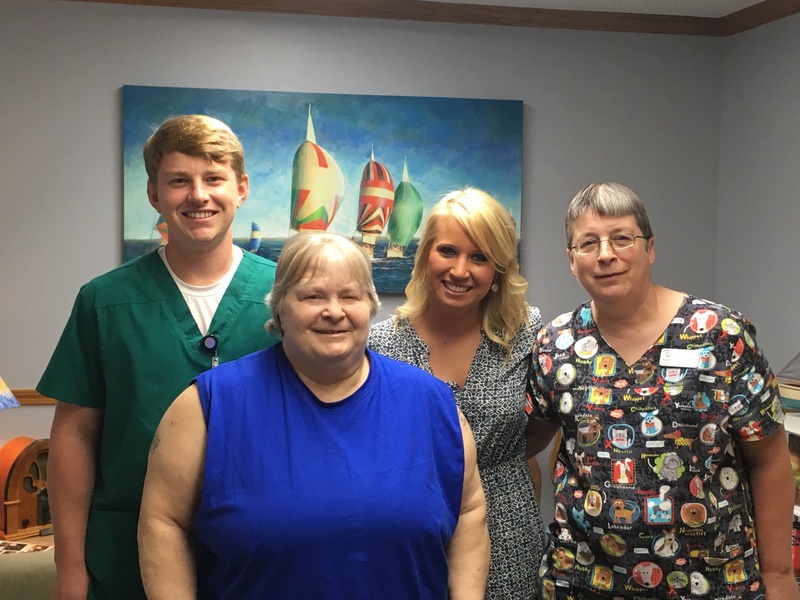 The therapy team was exceptional while working with me and the CNAs took incredible care of me. My entire family and I felt very comfortable during my stay. I chose MediLodge of Sterling because one of my family members received great care here a few months ago. During my short time here I became very impressed with the energy of each staff member and grew to love everyone who cared for me. MediLodge of Sterling has a home-like feeling. I was very comfortable during my stay. I will definitely be back after my next knee replacement. Also, the food is delicious! I chose MediLodge of Sterling because I have lived right down the road from the building for several years, therefore I am conveniently close to home. During my stay at MediLodge of Sterling, I spent most of my time with the therapy department. They were very pleasant and personable and worked around my preferred schedule for therapy. I would even visit with them during my free time. I was a resident of MediLodge of Sterling previously and I said that if I ever have to go anywhere again, it will be here! Every team member and department stood out to me. Chris (CNA) took care of me here a year and a half ago and when he walked into my room this time, he gave me a big ole hug! It just warmed my heart that he remembered me. 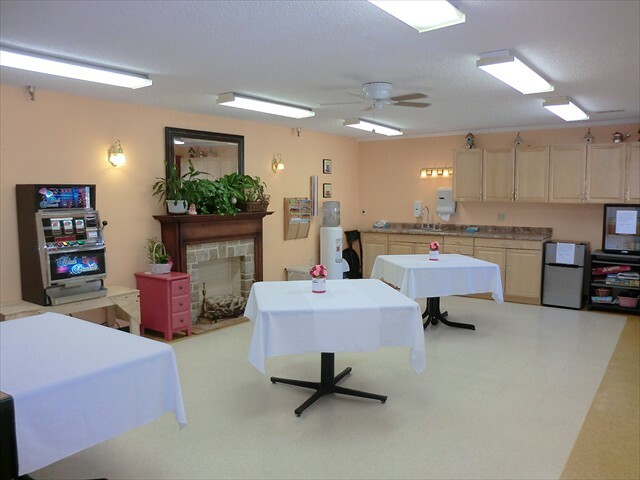 I chose MediLodge of Sterling for my loved one because of their physical therapy, personal visitation, and cleanliness. Every department was outstanding but the nurses and aides were fantastic! Especially Chris, Crystal, Shelia, Katherine, and Andrea. The therapy group under Danette’s leadership were very professional and accomplished a great deal for Mary Ellen. Bonita made certain that all of our nursing concerns were addressed. I chose MediLodge of Sterling for my loved one because it was close to her children. Everyone was so friendly and helpful. Things were taken care of swiftly. Peace of mind was always in the forefront. Mom had no complaints. I wanted to check out the therapy, which is great! Great therapy. Their department was personalized, encouraging, and one-on-one. They treated me like I was family. The food here is excellent! The aides and nurses are very good. The entire staff is just so friendly. I felt like a part of the family! Meredith, Cathy. Wendy, Tiffany, Carol, Mariann, Kathy, Tonya, Mary, Jeanine, Brenda, Sheila, Ashley, Janet, Lindsay, Crystal, Mary Moorer, Shanna, Denise, Jeanette, Cathy Clark, & the therapists Amy, Megan, Shannon, & Laura. I am very thankful for God leading me to MediLodge. It was very hard to be away from my loving husband & my son, Isaac. Isaac is a Mamma’s boy and it has been hard on him not having me home. 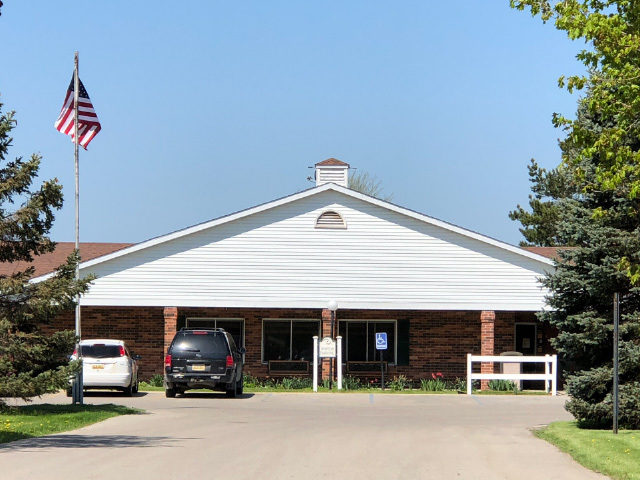 The wonderful skilled and loving staff at this awesome facility has taken great care if me, encouraged me to work hard in therapy, and helped keep me smiling. They kept my spirits up! Our son is autistic and epileptic, and also has cerebral palsy so with everyone at Medilodge of Sterling helping me heal from this knee replacement, it will in turn help me greatly care for Isaac’s needs. I love MediLodge and I am excited to come back as a volunteer. I choose MediLodge of Sterling because I’d heard a lot over the years about this place. The aides have all been true angels during my stay, giving me terrific care! Very welcoming and clean place. If I ever needed to be in a nursing home again, this is where I would return. You are all my family and this place has been great. I want to go home because I’m better but I don’t because I will miss everyone! Without you guys I wouldn’t be going home. I recommend this place to everybody. 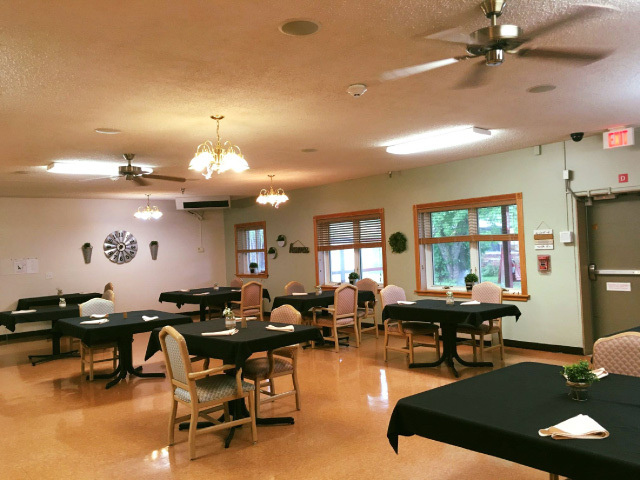 Medilodge of Sterling has a beautiful building and grounds, with awesome caring staff and a homelike environment. I chose the Medilodge of Sterling for the ratings and it was close to my home. Admissions Wendy, Social Worker Lyndsay and all of the Staff were wonderful! Everyone has been exceptional. I would highly recommend this facility to anyone. I knew this was the perfect center for me because it was close to home and West Branch recommended this center to me. All of the team members and departments stood out. The service here was good. My son-in-law stayed in [MediLodge of Sterling] in 2010. He enjoyed it, so I knew I would be in good hands! This was my 3rd stay here, and I prayed to come back! Everyone on the staff has always been kind and caring. I feel at home; all of my needs are met here! The staff rock. The activities are so much fun, and they keep you busy seven days a week. The food is great, The cleanliness of the center is superb. I chose Medilodge of Sterling for myself because at the time it was the only center close to me with a bed open. I am so thankful. The dietary department treated us very well. Bob and Michelle were both fantastic! Everyone was very nice here. I chose MediLodge of Sterling due to a broken foot and back surgery. Everyone here has been nice and friendly. Thank you! I wanted to come to MediLodge of Sterling so they could get me stronger. I wanted to stop falling at home. The CNAs Chris and Tyler took good care of me. They explained my care so I always knew what to expect. Everyone was very friendly. The therapy department was great and got me better. MediLodge of Sterling seemed like the right choice for myself as it seemed to be a place that I could get stronger. Now I can stand and take steps! I pretty much enjoyed everyone and everything. I liked the crafting and enjoyed the baking class here. I chose MediLodge of Sterling for myself because my physician recommended it. Amy, the LPN, really stood out and Pam is a go-getter! The therapy people stuck out as well. I’ll miss the people here that I have met. It’s very nice and clean. It always smells fresh and not like other places I have been before. I chose MediLodge of Sterling because the hospital thought it would be the best fit, and it turns out, they were right! Terry (CNA) and Brenda (LPN) in wound care stood out to me. I received excellent care and I mean that. I don’t know what I would’ve done without them. Everybody was so nice and caring. The care was very good, a very clean center, the building was designed beautifully, and everyone was exceptionally nice to my family. 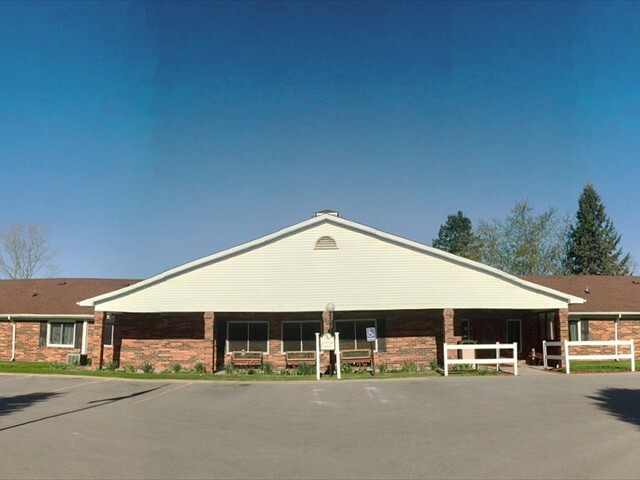 I chose MediLodge of Sterling for my rehab because of the great care that my mother-in-law received while here. I can now state that I received the best therapy also! The therapy staff was awesome and so was the rest of the staff. I would recommend MediLodge of Sterling as the place to go for rehab.